Donald Trump held a private meeting with the National Immigration and Customs Enforcement (ICE) Council President, Chris Crane, at his office in Trump Tower on Monday morning. 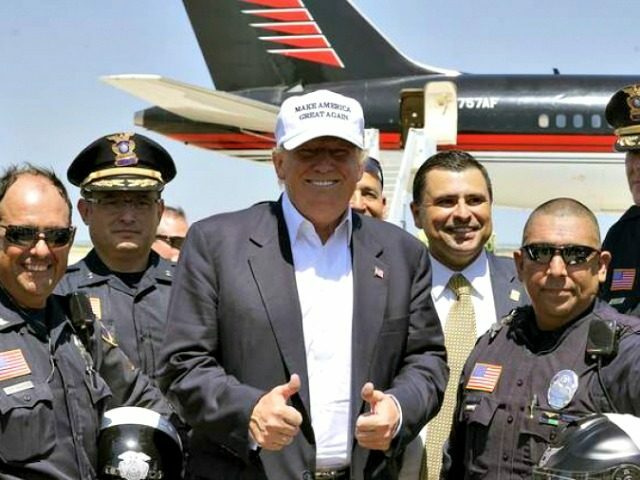 In an exclusive interview with Breitbart News, Crane discussed the details of his intimate meeting with the GOP nominee—revealing that the biggest takeaway from their exchange was Trump’s unwavering support for law enforcement. 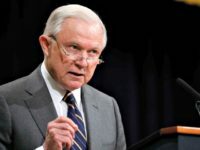 “It was extremely clear that this guy is on law enforcement’s side,” said Crane, who represents approximately 7,000 ICE officers and staff responsible for enforcing America’s immigration laws. Crane seemed struck by what Crane described as Trump’s “genuine concern” for the nation’s ICE officers, as well as Trump’s command of U.S. immigration policy. “There’s no two ways about it—he was definitely more informed on the issues than a lot of members of Congress that I’ve met with in my lifetime,” Crane said. Crane made a point of noting that Trump had approached ICE about setting up a meeting—and not the other way around. “He reached out to us and met with me personally. He didn’t send a staff member to talk to me—he took the time to meet with us personally. And his first questions and concerns were about our employees and our officers,” he said. Those were the very first things he asked about, and then he just jumped right in to policy issues, legal issues, and our perception on what the problems are facing the country in terms of immigration enforcement. He was really trying to get a firsthand, personal take from officers out in the field about exactly what’s going on– rather than having some staff member meet with us and possibly filter out what we had to say. Trump wanted to sit down with us himself and hear it firsthand from the horse’s mouth. That’s leadership. Leadership is about mission accomplishment, It’s about taking care of your troops. Real leaders care about the people who work for them, and they understand how important it is to take care of your people and to make sure morale stays high. And for me, [Trump’s questions] demonstrated a genuine concern for our people, but it also showed a real understanding of leadership. In 2014, ICE was ranked 314th in morale among 314 federal agencies surveyed by the Office of Personnel Management. Reports note that under the Obama administration, morale has plummeted as ICE officers have been “handcuffed” from doing their jobs and enforcing U.S. immigration law. As Sen. Jeff Sessions has documented, President Obama systematically dismantled U.S. immigration law during his two terms in office. Whereas Trump has pledged that “after my inauguration, for the first time in decades, Americans will wake up in a country where their immigration laws are enforced,” Hillary Clinton is running on an immigration campaign platform that is more extreme than even President Obama’s. As Breitbart News has previously reported, Clinton’s stated immigration proposals and campaign promises, if implemented, would essentially bring about the dissolution of our nation’s borders. Unlike Trump, Hillary Clinton and her campaign had not reached out to the nation’s ICE officers, Crane said. Crane noted that during his meeting with the GOP nominee, Trump proved very knowledgeable on immigration policy and displayed a great interest in policy details.